Planning is underway for this year’s 5K/ 2 Mile Walk that has been a part of the City of Hermitage Arts Festival for the past several years. The race will take place on Sunday, July 12th, and we need your support! 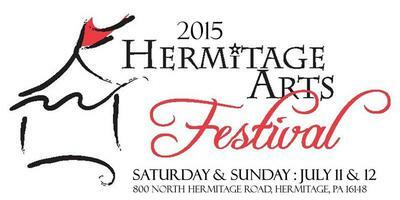 This is the first year in which the YMCA is running the event in conjunction with the Arts Festival, and we are very proud and excited to work with the City of Hermitage on part of such a wonderful weekend. We are asking for your generosity to help make this community event a success. Your sponsorship of $100 or more will include recognition on the 5K t-shirt, as well as advertisements before and during the race. The 5K/2 Mile Walk is a fantastic event that perfectly fits within the Y’s mission and areas of focus which include the promotion of healthy living. However, we recognize the importance of making an event like this as affordable as possible for any individuals that want to participate. We ask that all sponsorships be made by July 1, 2015. Checks should be made payable to “YMCA”, and sent to: Shenango Valley YMCA, 925 N. Hermitage Rd., Hermitage, PA 16148. We appreciate your interest in this community event. Enclosed is a flyer/registration form/sponsor form. Please contact Robert States at 724-981-6950, or rstates@svymca.com with any questions/concerns, or if you need additional information. Thank you Stefan, for letting us know about not only the Hermitage Arts Festival in July but also the 5K/2 Mile Walk. I wish you much success in 2015 with the festival and sponsorships for the race.